So the Google Pixel and Pixel XL have been announced, released, and are garnering rave reviews. As excited as I am to try one and probably get one when my upgrade is due; I was more interested by another announcement that Google made at the same event. Google Home. Google Home is a voice powered wireless speaker which runs Google Assistant, Google’s updated version of Google Now. 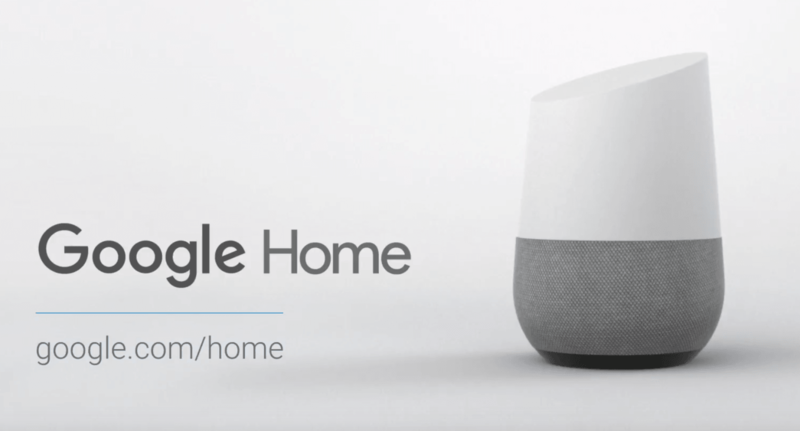 In the same way you can say “OK Google” followed by a myriad of commands to get your phone to do various actions, you can bark orders at the Google Home speaker and it will respond with answers from the web or play the music you requested on its high quality speaker. It can also link in to your Google account so it can access your calendar, notes and email. Simply ask it what you have to do today and it will give you a run down from your calendar; ask it to add beer to the shopping list, and your note entitled Shopping List in Google Keep suddenly has an entry for beer. It also has the ability to link to other devices in the home like wireless lighting, thermostats and ChromeCast so you can ask it to turn off the living room lights, lower the temperature, or play a video on your TV. Very Star Trek! If you want to try out Google Assistant now, download Google Allo – it’s a WhatsApp style messaging client that has the Assistant built in. The Google Home speaker should be released in the UK soon, but Amazon have already released theirs; called Amazon Echo it has an assistant called Alexa that you can converse with in a similar way.